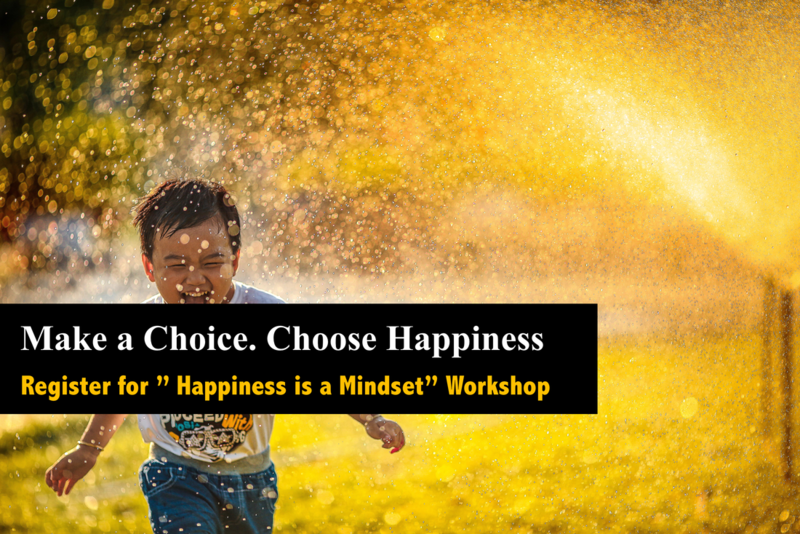 Workshop: "Happiness is a Mindset"
Because all I really want is to be happy. •What does happiness really mean? ​Positive psychology is founded by Martin Seligman and is founded on the belief that people want to lead meaningful and fulfilling lives, to cultivate what is best within themselves, and to enhance their experiences of love, work and play. Tapping on the positive psychology frameworks, this session will help you to uncover the different elements that contribute to our happiness, how we can adjust our mindsets to become happier and techniques we can use to sustain it. There are two 2-hour sessions for this workshop. In the first session, we will look at our perspectives of happiness and how we view our world. We will learn some techniques which we can put into immediate practice and craft out an action plan for ourselves to work on increasing our positivity. In the second session, we will delve deeper into ourselves, discover more about positive psychology, the different elements that influence our happiness level.